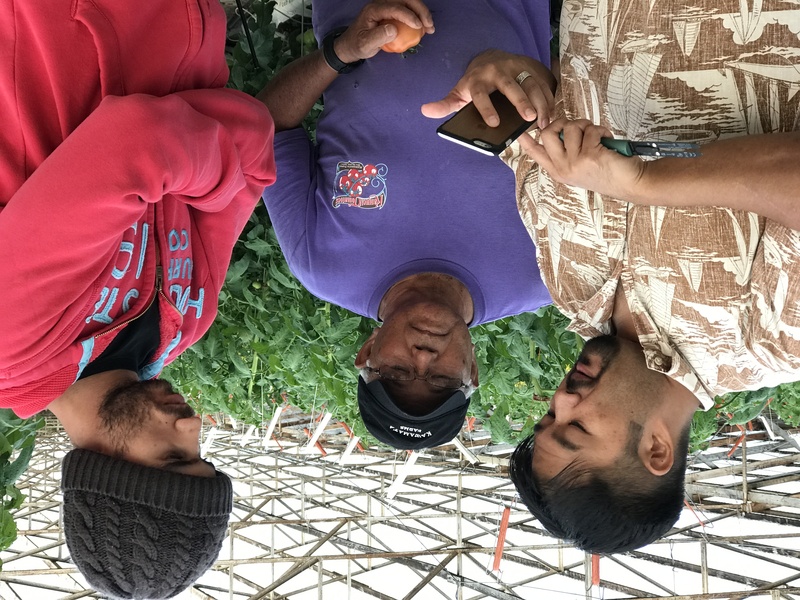 Smart Yield CEO Vincent Kimura shows an app to Kawamata Farms’ David Oshiro and Rafhael Esposito de Lima. For some of us, “high tech” sounds like something nerdy people do while the rest of us just try to survive with the same old, whatever we’ve always done routine. Except that’s not the age we’re living in or the world where the next generation of students will find careers. From digital technology and creative media to clean energy and business start-ups, Gov. David Ige understands this global future and wants to help schools, state government and the community be a part of it. The result will be an innovation economy that provides a better life for Hawai‘i’s people. And if you think this is all pie-in-the-sky futuristics, think again. Hawai‘i is already creating an innovation ecosystem that is bringing kama‘aina back to the islands. One company already helping local farmers is Smart Yields, whose mobile and web applications monitor real-time farm conditions and help farmers increase production and conserve resources. Smart Yields got its start through Blue Startups in 2015, one of the Hawai‘i Strategic Development Corporation’s HI Growth business accelerators. The company aims to help small to medium-sized agricultural operations, which make up 85 percent of farms in the U.S. and 99 percent globally. 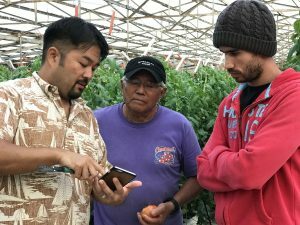 CEO and founder Vincent Kimura, who was born and raised in Hawai‘i, said, “Here at home, as Hawai‘i bolsters its local food production, technology will play a critical part in helping our state achieve a more sustainable future.” The company is also working with schools in project-based STEM education. “School farms are excellent, hands-on learning laboratories that inspire kids to explore the environment and think about sustainability, “said Smart Yields’ co-founder and head of education Lizzy Schiller.